All continents except Europe and Antarctica have bird species that rely almost exclusively on nectar as a food source. These birds, which include African sunbirds and American hummingbirds, obtain all the energy they need from the sugar contained in nectar. They only eat insects and spiders to get vitamins and minerals. Nectar is a strange diet, since it consists mainly of water, the rest being dissolved sugar. The sugar in nectar provides a very pure source of energy, on which these birds thrive, but most of the water becomes a waste product. If humans were to subsist on sugar water, which is basically what nectar is, it would not be long before we would get diabetes. It is still a puzzle as to why nectar-feeding birds somehow seem immune to this disease. Other birds are certainly known to suffer from diabetes, so it is not as if birds in general can’t get it. The sugar in floral nectar is usually sucrose (table sugar made from cane), glucose (grape sugar) and/or fructose (the sugar found in most other fruits apart from grapes). When drinking sucrose-dominant nectar, sunbirds and hummingbirds have to digest the sucrose into glucose and fructose before they can absorb it into their bloodstream. 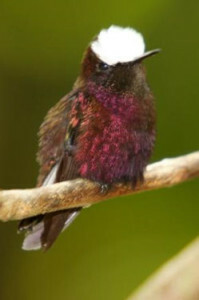 It was previously thought that only hummingbirds were able to digest sucrose, and that “passerine” nectar-feeding birds (which include sunbirds) lacked the enzyme sucrase, which catalyzes the hydrolysis of cane sugar (sucrose) to the simple sugars (glucose and fructose), and were therefore unable to digest sucrose. 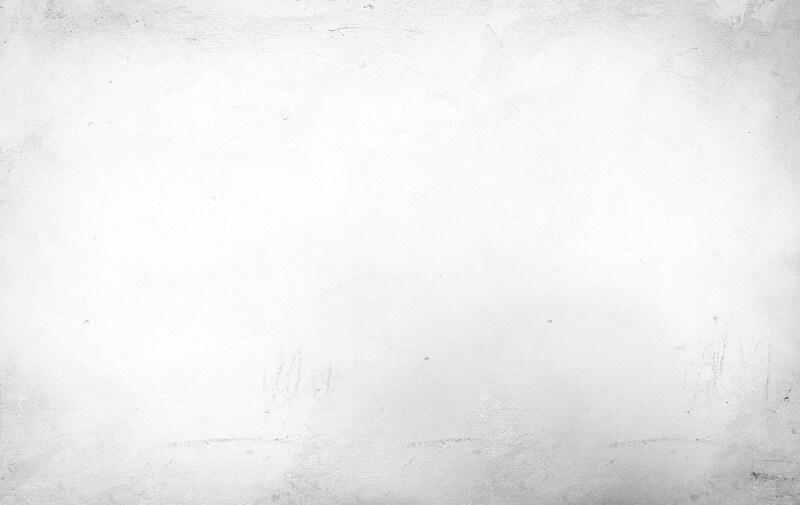 This notion was based on the fact that several other “passerine” birds, such as starlings, were indeed found to lack this enzyme, and a generalization was made that no passerines could digest table sugar. However, a study on the Erica species in the Cape, fed on with gusto by sunbirds, surprisingly found these flowers very often produced sucrose-dominant nectar. A study was then done which showed that scientists had been very wrong indeed, and sunbirds do in fact have the ability to digest sucrose. The same, in fact, can be said for Australian honeyeaters, which are also passerine birds. It is now known that only a small group of passerines are unable to digest sucrose, and these include the starlings. They actually get ill if they imbibe too much sucrose, since the sugar remains in their intestines undigested, causing illness. How can this knowledge be applied to feeding sunbirds using sugar water and artificial feeders? Basically, it is perfectly okay to use table sugar when preparing their food, and it will not make the birds ill, as some people say it will. It is also useful to note some other things about real nectar before mixing artificial nectar to feed sunbirds. Nectar fed on by sunbirds is usually much more dilute than that fed on by insects – it is usually only about 20 % sugar and 80 % water. When preparing artificial nectar, one can make the same concentration – mixing one cup of table sugar with four cups of water will give 20 % nectar, which is spot-on. Another “lesson from nature” is that red, pink, and white flowers attract birds, whereas blue and many other-coloured flowers attract insects. So, make the part of the feeder from where the bird sips red (or pink or white), or dye the nectar red with a harmless food colorant – and you’ll attract sunbirds. 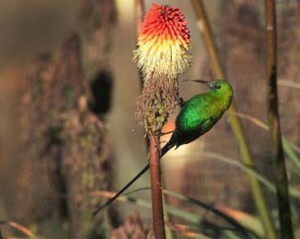 First prize, of course, is not artificial nectar, but having plants in your garden that sunbirds like – one of the very best is Leonotus leonuris (known as lion’s tail or wild dagga), which flowers in May and June, and of course Aloe species, which flower in mid to late winter. Planting different flowers such that every month of the year you have something attractive to these jewel-like little birds will mean you’ll always have sunbirds around. Like the diabetes puzzle, another puzzle in the world of nectar-feeding birds is why Protea species often contain another strange sugar in their nectar, xylose (“wood sugar”). No birds are able to make use of this sugar, and yet it can be a major part of the nectar of flowers used by sugarbirds and, to a lesser extent, sunbirds. Some rodents, such as the Namaqua Rock Rat (Aethomys namaquensis), that pollinate Protea nectar, can in fact make use of xylose as an energy source, but nevertheless prefer nectars with the “common 3” nectar sugars mentioned earlier (sucrose, glucose and fructose). Another fascinating fact is that because sunbirds feed on dilute nectar, they sometimes consume their body mass or more in water per day, to get their daily energy/sugar requirements. They have to heat all this water to body temperature, which is higher than the human body temperature (42 oC in sunbirds as opposed to 37 oC in humans). Heating such (relatively) huge volumes of water to their body temperature means that under certain conditions these amazing birds can use a quarter of their sugar (energy) intake just to warm their food – this seems like a real waste, but what choice do they have? Finally, it is of great interest to many people to compare our sunbirds with American hummingbirds. Sunbirds are mainly African and Asian, with just one species in Australia. 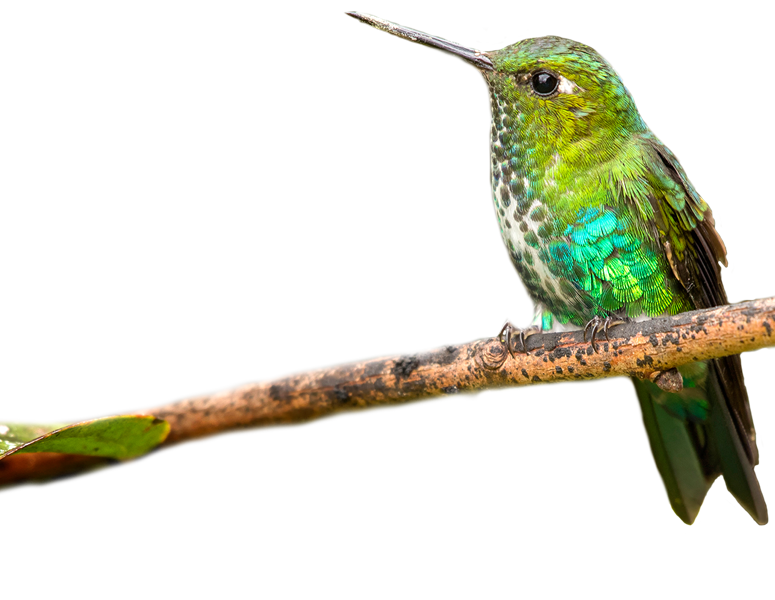 Hummingbirds, or “hummers”, are strictly North, Central and South American and Caribbean. Hummers are the smallest birds in the world, and the smallest one (Bee Hummingbird) can weigh only half as much as a teaspoon of water weighs (about 2 grams)! Sunbirds, usually small, are nevertheless a great deal bigger than hummers. Sunbirds and hummers are also unrelated – hummers are actually more closely related to swifts than they are to sunbirds. Hummingbirds habitually hover to feed, whereas sunbirds usually perch to feed, very rarely hovering.  Hovering flight and small size combine to mean that hummingbirds have much higher metabolic rates than sunbirds, burning energy at the rate of knots. This is also why hummingbirds have an incredibly useful mechanism to save energy. If they have been unable to store enough energy (in the form of fat) from feeding during the day to survive the night, they are able to dramatically lower their body temperatures and go into a state of “overnight hibernation” which is called “torpor”, because it only lasts the night and not longer (hibernation usually lasts for days or weeks at a time). This is also how the Rufous Hummingbird is able to store enough energy to allow it to migrate the length of a continent, from Alaska to Mexico, including crossing the Gulf of Mexico. These long flights take a phenomenal amount of stored energy. The world’s most spectacular hummingbird, Marvelous Spatuletail, only occurs in a tiny part of northern Peru, and this photo was taken by Niall Perrins on one of the many bird watching tours we run there.